The Scott Center for Autism Treatment invites you to join us for An Evening of Hope XI on Sat., Feb. 16, 2019. An Evening of Hope helps raise critical scholarship and subsidy funds that go towards providing lifechanging treatment for children diagnosed with autism spectrum disorder. 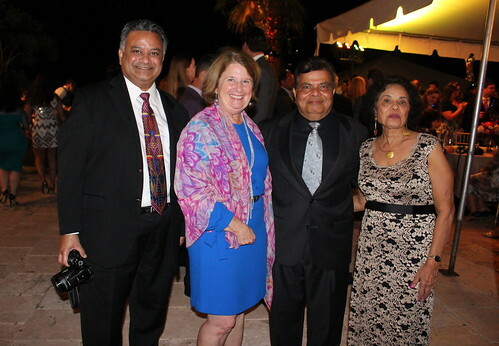 The 11th annual celebration, featuring the theme “Sunset on the Seine,” will take place at the beautiful Merritt Island residence of Keith and Lila Buescher. 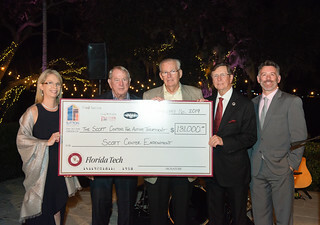 Join the Scott Center, Florida Tech, and the Bueschers for a wonderful evening featuring gourmet food and coctails catered by The Green Turtle and live music by the La Calle Band. New this year, Evening of Hope guests will be invited to make a $100 donation in exchange for a "Mystery Box" during the event. Each box contains a gift of appreciation, which can be anything from a gift card to a trip to Iceland. Throughout the evening, attendees will also have the opportunity to contribute directly to the WISH Scholarship fund, which directly assists families who cannot afford Scott Center treatment. Individuals who wish to attend the Evening of Hope are invited to become sponsors at the Felicite (Happiness) level, which comes with a pair of reservations. Parties of four or more, including corporate sponsors, are invited to participate at a higher level. Secure your sponsorship and reservations now. Thank you to all the individuals and businesses who have donated items for our mystery box fundraiser.